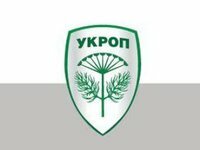 Dnipropetrovsk city territorial election commission at a meeting in the early hours of Tuesday announced that a candidate of the UKROP Party, Borys Filatov, received the highest number of votes in the second round of the mayoral elections in the city, the UKROP party's press service reported. "According to the released minutes of the territorial election commission, a total of 184,874 people voted for Filatov in the second round of elections on November 15. His opponent – a representative of the Opposition Bloc Party, Oleksandr Vilkul, was supported by 158,752 voters," the party said in a statement posted on its website.